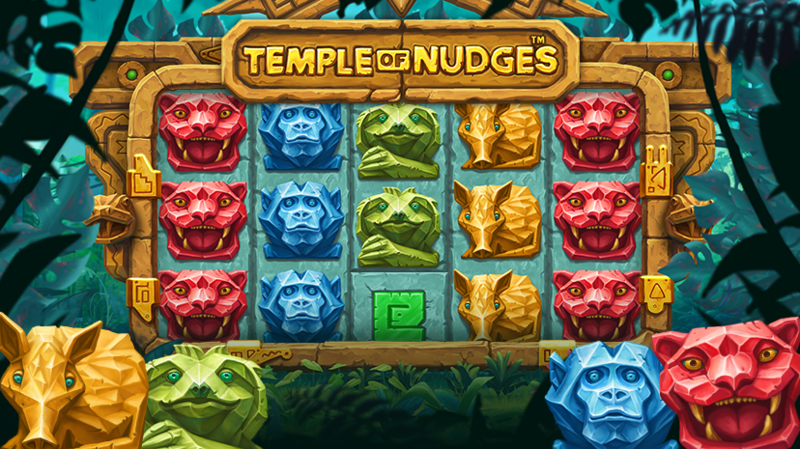 NetEnt has come out with a new online slot game, Temple of Nudges. This game uses a jungle theme and comes with 243 ways. All symbols appear stacked on all reels. There are no wild or bonus symbols on this game. Each time you get a winning combination, after the payout, all reels will nudge down one spot. If you have another winning combination, this will pay and you get another nudge. You will keep getting nudges, until you get no more new winning combination. If you have a winning combination, before you are paid, all winning symbols are held and the rest of the reels will re-spin one time to get more of those symbols. You will receive a re-spin when a re-spin overlay appears on a symbol. That was Temple of Nudges. These are the only features available on the game. There is no free spins feature or other bonus game. For me personally, I don’t like this game. For me it’s too simple and it doesn’t really add anything new. I like that the game is very colorful and I am sure you can get some nice hits when you fill the screen. And a lot of players will like the simplicity, but for me, no. You can check out the gameplay video for Temple of Nudges below or play it now at any top NetEnt casino.